•	Log in using Touch ID or Face ID – there’s no need to remember any details when logging in. Available on a compatible iPhone or iPad. 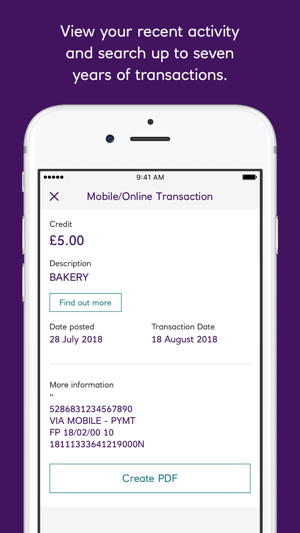 • View accounts you hold with other banks in your app to see balances and transactions for all of your current accounts in one place. 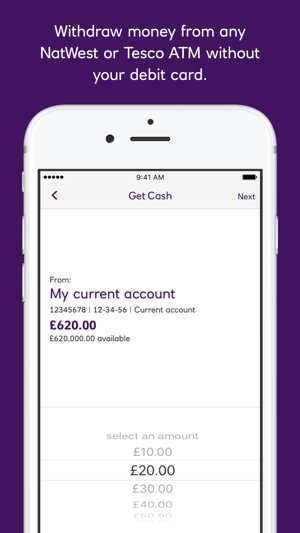 You can add and remove accounts quickly and securely from within the app. • Choose to lock certain transaction types on your credit card in ‘Lock card settings’, giving you more control of your spending. 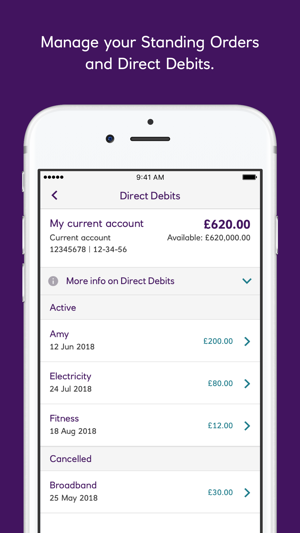 • Set up a Direct Debit to pay your credit card bill in the ‘Pay my card’ section of your credit card, saving you the worry of late or missed payments. 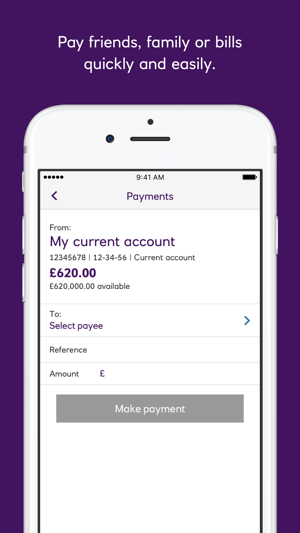 • Create, amend or delete a savings goal, view your progress to see what you’ve saved and how much more you need to reach your target. Thank you for makers me understand how to online bank. 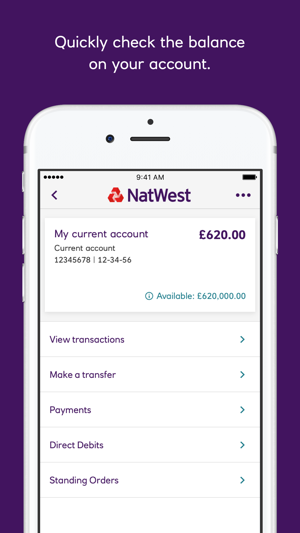 I would like to thank the nice gentleman in the NatWest bank in Cosham who showed me how to do online banking and get a app . I’m 52 years old don’t do anything much online and have been petrified of thinking my Northend bank in Portsmouth closed down , and now you are closing Anchorage Park Portsmouth by the end of the month, which I really depended on . so after travelling to Cosham I thought I’d investigate in this online banking , thinking to myself I can just about get myself around a mobile phone . As I am not the brightest button in the box , And also to think I will never see a statement come through my letterbox from NatWest . Really worried me to be honest traumatise me, but give the Genteman his due he was patient with me when I asked him questions I couldn’t understand . and then he said come back in next week when your card comes through we will help you so you can pay online from your bank , Well I’ve never been so happy to think I can do it wow he said it was easy and it was, what have I been worried about so I would like to thank that Genteman who help me he was in Cosham Portsmouth from Winchester branch of NatWest . Natwest need to upgrade a very dated system as online banking and the internet are the biggest means of communicating with the customers, if that isnot corrected and upgraded they will be left behind, far too much completion to be wasting my time. 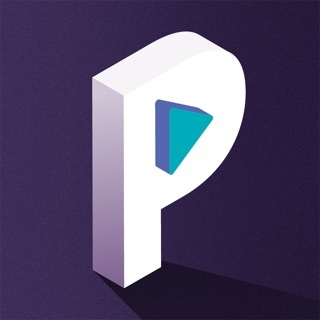 It is a quick transfer and pay when I’m panicking and I LOVE the improvement to have saved payees it is quick and easy to use because there are people I usually send money to and it is nice to know that I can access these names on the go. I’m very young and I go into my bank account and I see two different sets of numbers for the amount of money I have and how much I should have without the pending payments; I would like to know which companies are trying to take my money before it leaves my account because sometimes I’m scared I am being scammed and I’ll only see the payments months later saying they left my account earlier I just need to be sure what are my pending payments and that is really the only improvement I have.